Edan Gelt is an active leader in her community working professionally as a communications strategist and advertising consultant and pursuing personal hobbies in health and fitness. Through both her professional career and personal life, Edan Gelt is constantly striving to create the best version of herself and inspiring those around her to do the same, be it a client, friend, neighbor, family member, or anyone else looking to improve their lives. For over 17 years, Edan Gelt has been building a career in communications and advertising working with a diverse clientele in a wide range of fields and industries. As a communications strategist and advertising consultant, she works alongside owners and leaders of companies, organizations, and other enterprises to improve sales, enhance brand awareness, and increase growth of traffic and overall company success. Some of her main areas of focus include promotional strategies, sponsorships, branding strategies, public relations, sales-enhancing partnerships, contract negotiations, media-buying, grand openings, budgeting, special event planning, grass-roots initiatives and much more. 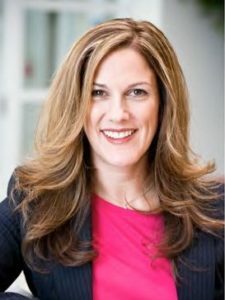 Through her work, she is dedicated to developing customized and innovative strategies to help companies build on what they need to stand out from their competition and thrive in fast-paced competitive environments. Over the course of her career Edan Gelt has earned many awards and special recognitions for her work including numerous Maxi Awards for categories such as Public Relations, Digital and Social Media, Sales Promotion and Events, Print Media, and beyond. On a professional level, Edan Gelt strongly encourages her clients and other organizations to make community relations a focal point of their mission statement and company values as it is a way to build great trust and strong relationships with local community members. After learning about her daughter’s diagnosis, Edan Gelt found great strength and motivation through exercise and fitness routines. For her it was a great way to get out of the house and take her mind away from negative thoughts. She even began blogging about her fitness experiences as a way to motivate and inspire others who may be having trouble getting started with fitness or are looking to try something new to add a little spark and excitement to their lives. Today, her daughter has overcome the disease and is thriving as a strong and happy young girl. Gelt continues to incorporate health and fitness into her lifestyle and everyday routine as it has made her so much stronger on both a mental and physical level. Learn more about Edan Gelt through her blogs and social media updates as she continues to find new ways to improve the world around her and inspire others to be their best selves everyday.